Agri Aware’s ‘Farm Walk and Talk’ initiative is taking place this week from March 2 to March 6 where over 2,500 second level students will visit Teagasc colleges and research centres. Agri Aware says that agricultural science students and teachers from 70 schools across the country will get a day of hands-on learning via Agri Aware’s farm walks. The ‘Farm Walk and Talk’ initiative demonstrates the practical elements of modern agriculture to both urban and rural agricultural science students, it says. Agri Aware says that the current Agricultural Science syllabus (which has not been updated for over 40 years) for the Leaving Certificate fails to include topics such as genetics, farm machinery, sustainability, new animal breeds and farm safety. It says that a development group, tasked with delivering a new Agricultural Science syllabus, is meeting regularly over the coming months to deliver a new syllabus. Agri Aware says that the first draft of the new Agricultural Science syllabus for leaving certificate students will be ready for public consultation by the end of the year. “The last few years have seen a jump in the number of students choosing to study Agricultural Science. The number of students taking the leaving certificate exam increased from 3,912 in 2006 to 7,912 in 2013. There are currently a total of 14,200 fifth and sixth year students studying Agricultural Science in Ireland,” Agri Aware says. Educational talks and presentations on meat-related elements of the Agricultural Science syllabus will be provided by ABP, Dawn Meats, Kepak, Liffey Meats and Irish Country Meats while the dairy-related elements of the syllabus will be discussed by the Irish Dairy Board, Dairymaster, Lakeland Dairies, Aurivo and Arrabawn. The ESB will be providing presentations and educational talks on farm safety, it says. 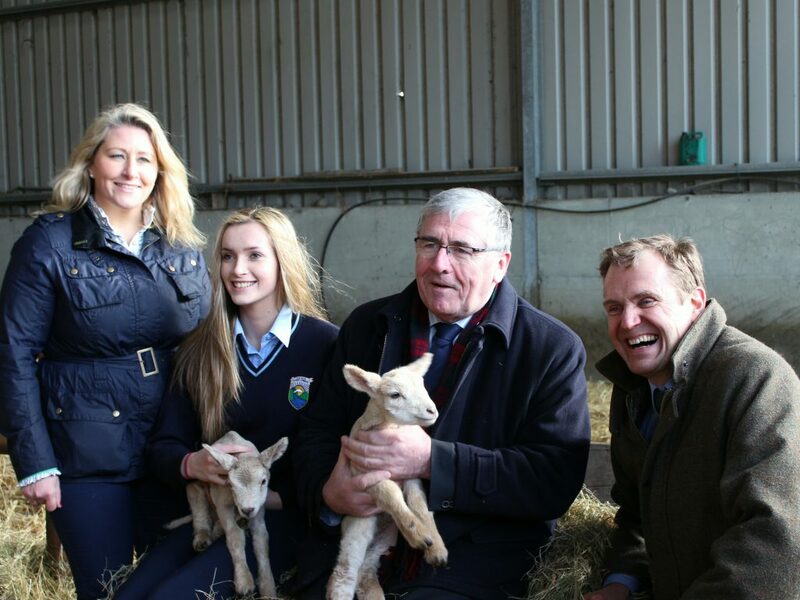 Speaking at the launch of the initiative at Gurteen Agricultural College in Tipperary, Minister of State Tom Hayes spoke about farm safety said it is the simple things you need to be aware of and not to become complacent about the environment you are working in. “Depending on your type of farm, your work involves livestock handling, slurry handling, machinery operation, electrical equipment and farm buildings. Any, or all, of these circumstances can lead to an accident. The risks are too great and the price too high,” he said. 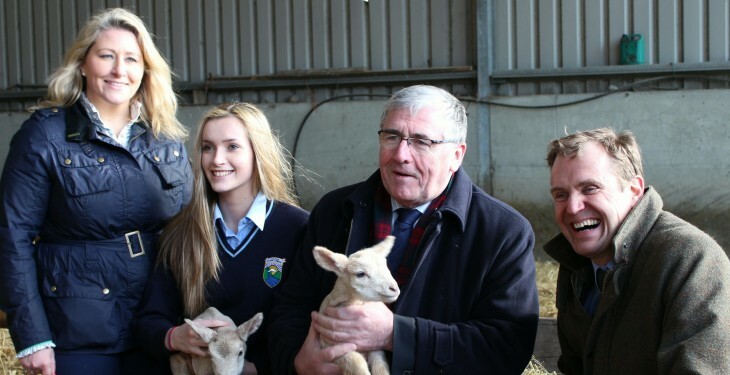 Picture: At the launch of Agri Aware’s ‘2015 Farm Walk and Talk’ in Gurteen Agricultural College are: Dr. Vanessa Woods, Chief Executive, Agri Aware; student Aoife Sweeney, from Colaiste Naomh Corma, Kilcormac, Co. Offaly; Minister of State at the Department of Agriculture, Tom Hayes and Richard Moeran, Chairman, Agri Aware.